Radius by SSB Metal works has more then 2 decades in the business of Manufacturing and Exporting Metal and Plastic Writing Instruments operating from India. SSB Metal Works, established in 1987 are manufacturers and exporter of the well-known brand of Radius. We manufacture these pens at our facility at Goregaon in Mumbai. 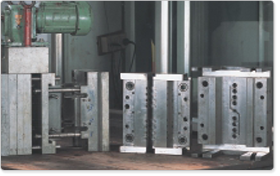 Our plastic division is located in 40,000 sq.ft. area at Vasai in Thane. We are equipped with high precision machinery for standard and special purpose operation, and have facility for multi-color screen printing and pad printing for promotional pens orders. 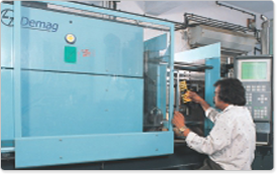 We have in house moulding facility with latest CNC and Electronic Discharge Machine. We have large number of satisfied clients for our promotional pens. We manufacture plastic promotional Pens, Metal pens and Semi metal pens for corporate gifts. Our fine quality writing instruments are subjected to the strictest quality control measures right from procurement of best raw materials to intermediary checking in the workshop and finally screening of the finished products for defect. We have presence in 52 countries of the world and some of the major coutries we export are as give below. Pens are packed into strong corrugated cartons for bulk packing. Gift sets come in plastic boxes, imitate leather boxes or custom made packaging for corporate gifts and business gifts.